I have been working as part of the AdventureYogi family since 2011 and it has been an absolute pleasure. I can honestly say that every AdventureYogi yoga retreat that I’ve been part of has been a unique and unforgettable experience. The way it’s all put together is brilliant and when you’re there, it often feels like a bit of a time warp, whereby those few precious days seem extra long and become a sanctuary away from the everyday routine and a chance to really reconnect with our true Selves. The combination of being in beautiful nature, practising yoga, wholesome cuisine, healing treatments, making great friendships, soulful conversations…etc is all really transformative. I’ve witnessed time and again how focusing on wellbeing from the inside out leads to dramatic results. People leave totally rejuvenated and inspired with a greater perspective on what brings them quality to their life. What’s your favourite yoga retreat or yoga holiday to teach on? I would say that my favourite retreats are the Alpine & Winter retreats. I feel totally peaceful when surrounded by awe-inspiring and majestic mountains, whether in the summer or winter plus I love adventurous outdoor sports. 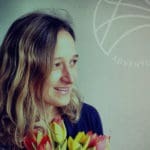 I have over 1000+ hours of teacher training, 15 years yoga practice experience and have been teaching yoga for over 5 years now. My training and teaching experience allow me to combine traditional Indian Yoga styles with a contemporary western approach to authentically help guide others to find their own love for, and benefits of Yoga. I most often teach vinyasa flow yoga that follows from the Krishnamacharya lineage but I can confidently and fluently teach people rather than styles of yoga and so adapt sessions to meet the needs of the students. I am also trained to teach dynamic reformer pilates and like to incorporate the principles into my yoga classes. In London I have a range of clients from Premiership footballers, professional cage fighters to company executives, pregnant ladies and even the over 60’s, so I know that one size does not fit all when it comes to yoga practice! If I’m not teaching or practising yoga, I’m probably reading about it! Other than yoga I love being at home with my cats, partying with friends and also absolutely love snowboarding. Thanks, Tammy! We LOVE working with you, too! See what retreats Tammy is teaching on here.